A managed service provider (MSP) is a necessity for any CPA firm. The stigma of the cloud not providing the protection you need is no longer a concern. 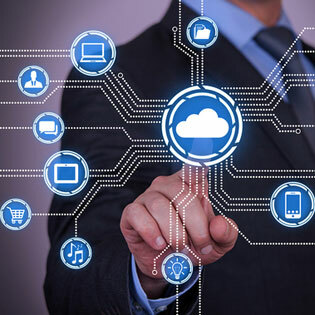 Software and networking companies have come together to ensure the cloud has become a safe and productive environment. The cloud offers security with data, and allows you to optimize your time with your business. IT specialists are not cheap. Currently, graduates are barreling out of colleges and getting paid very well for what they learned, but many of them may not be trained in the applications you are running in your firm. This is an additional cost. These are costs that can be nullified with a managed service provider. Just contact them during the initial consultation and find out what training their people have. Some providers will train your IT if the need arises, but in most cases, this will not apply. Allocating your IT department to a service provider allows you to work harder for the clients. You don’t have to worry about server uptime, whether maintenance is getting done on time or if the upgrades are on schedule. Just like the hardware aspect, the software availability is equally impressive. Managed service providers will take care of all your software needs. Application updates are automatically installed to your network at times when your office is closed. So, there is no interruption in service. When your firm increases in size, then your provider will install all the recommended software on new machines. Take your CPA to the next level. Managed service providers can make sure all your connected devices work wherever there is an internet connection. This means your smartphone, tablet, laptop or other linked device will be able to connect to your office records without incident. Work while on the move. This is the future of CPA firms, as well as organizations globally. Managed service providers help to secure your data. They perform backups as required, they keep hackers out of your network, and they manage the backend of the CPA firm so you can focus on the most important part of your business, the customer. Get a free assessment today.